Slowly but surely, President Obama is following through on his pledge to wind down the 13-year-old American war in Afghanistan. 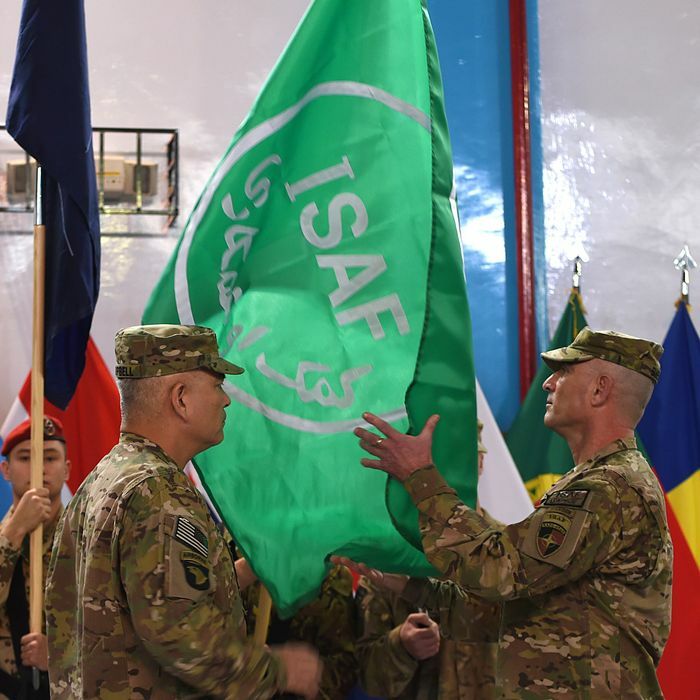 On Sunday, officials from the United States and NATO held a ceremony in Kabul marking the official end of their combat mission. Shortly after, Obama issued a statement acknowledging the “responsible conclusion” of the war and thanking the tens of thousands of U.S. troops who participated in it and the more than 2,200 who died doing so. “We salute every American — military and civilian, including our dedicated diplomats and development workers — who have served in Afghanistan, many on multiple tours, just as their families have sacrificed at home,” he wrote. Around 10,800 members of the U.S. military will stay in Afghanistan. Though they are expected to mostly serve in advisory and training roles, Obama admitted that the country remains “a dangerous place” for them (not to mention the actual citizens of Afghanistan, whose capital city has seen an increase in Taliban violence recently). Earlier this year, Obama said he hoped to have only 1,000 troops left in Afghanistan by the end of his term in 2016.